Over the next few months we are embarking on our biggest project ever! We are adding a huge amount of new hardware accross our 6 most popular locations: London, New York, Nuremberg (Germany), Dallas, Los Angeles and Miami. This hardware will consist entirely of the highest performing components for game server hosting, including the Intel i9 9900K, Samsung Evo PRO NVME drives and 2666MHZ DDR4 RAM. We plan to also move all our servers onto dedicated 10 Gbps connections with upgraded DDoS protection. The first location to receive the new hardware will be Nuremberg, Germany. 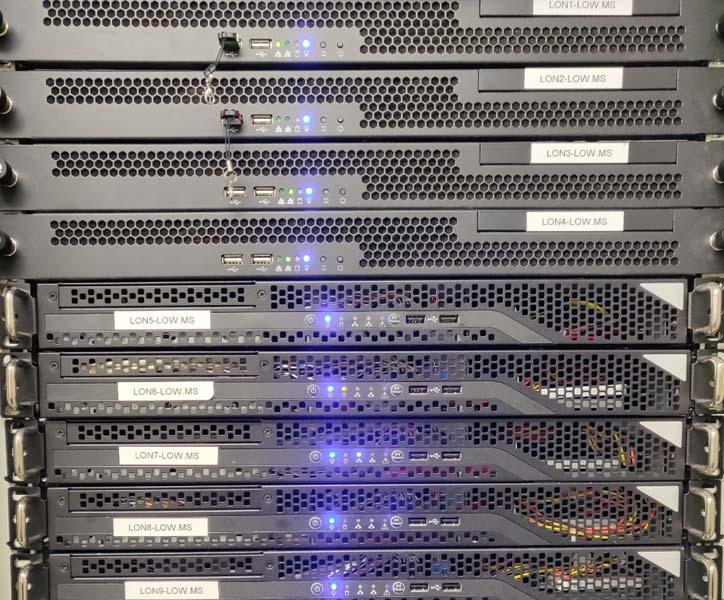 After migrating our existing servers from Falkenstein back in November 2018, we are now fitting our rack with a batch of new servers consisting of Intel i9 9900Ks (5GHz! ), Samsung 970 NVME drives and DDR4 2666MHz RAM. We will move all existing customers on this equipment over the next 4-6 weeks. Similar to Nuremberg, we are adding a second batch of servers consisting of the same hardware. We plan to migrate our London customers over to these new servers also within the next 4-6 weeks. As a UK based company, the US is a little further afield for us but we are planning to do the same as above over the coming months accross the US (starting with New York).